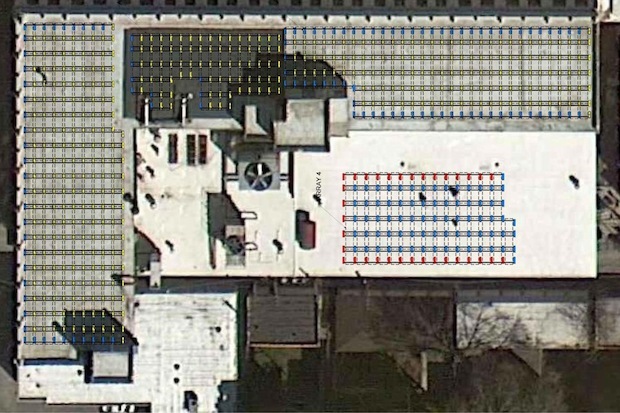 UPTOWN — The ICA Greenrise building has raised $600,000 for a project to put nearly 500 solar panels on its roof, and will unveil the panels next month as part of its "Sustainable September" initiative. 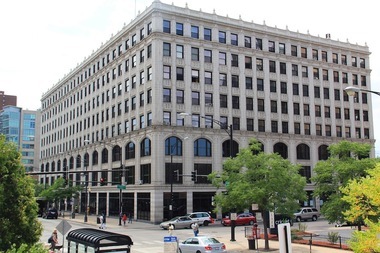 The technology should enable the Chicago landmark at 4750 N. Sheridan Road, owned by the Institute of Cultural Affairs in the USA and home to an array of non-profit agencies, to reduce its dependency on electricity by 23 percent for yearly savings of more than $16,000, said ICA CEO Terry Bergdall. It will also give the building the largest number of solar panels of any building outside of the Downtown area, Bergdall said, emphasizing that ICA aims to become "a leader in solar projects." The ICA Greenrise building, a Chicago landmark at 4750 N. Sheridan Rd. ICA is a community development agency with a 50-year history. "We've always been concerned about justice and equity issues, but now we talk about building a just and equitable society in harmony with planet earth, and it's because of the new awareness that's come in the last decade or so with climate change and the like," Bergdall said. The ICA CEO said that, "The big, big reason we wanted to do [the project] is it's us walking our talk, but it also provides a way of being a sign to other people and other places that they might want to follow suit." The panels will be installed on 35,000 square feet of roof space by Hardt Electric and be unveiled at a Sept. 24 ceremony, when they'll go online. Going green isn't cheap despite the long-term savings. Terry said ICA sought "social investors who see the importance of enabling early adapters [of solar energy]," which netted about $250,000 of the $600,000 needed. The Illinois Clean Energy Community Foundation provided matching funds and a grant to cover the rest. The ICA Greenrise building houses an intentional living community, a dental and medical clinic for homeless people ran by the Heartland Alliance, a women's shelter ran by Sarah's Circle, substance abuse and mental health services as well as services for immigrants and several immigrant church congregations. Yet, Bergdall feels the ICA building is under the radar in Uptown and the rest of Chicago. "We have a 50-year history but our emphasis on community development has always been, 'This is what people do themselves, how do you enable people to be agents of their own development?' And therefore we've always been extremely reluctant to parade ourselves because it's the people themselves who should take credit," he said. "We've never gone out of our way to tell our story." But that's changing now, Bergdall said, "because I think it's important people do know — yes, we're about enabling a bottom-up approach, enabling people to become agents of their own development — but we want people to know what we're doing." He said work being done to paint a sign on the back of the ICA building that reads "ICA Greenrise Uptown" should increase the organization's visibility, and catch the eye of Red Line "L" commuters as well as folks walking about the neighborhood who have never heard of ICA. The Sept. 24 solar panel unveiling, which he hopes top city officials will attend, will also include a tour of the ICA building and some of its non-profit tenants, and is just one of several "Sustainable September" events the organization is holding next month. On Sept. 6, ICA workers and volunteers will participate in the national "Great March for Climate Action," a coast-to-coast demonstration featuring folks walking 3,000 miles from California to D.C. and passing through Chicago along the way. ICA will later house marchers as they prepare to continue the trek. On Sept. 11 at 8 p.m., ICA is hosting a free screening of “The New Environmentalists,”an Emmy Award-winning series about environmental activists. On Sept. 18 from 6 p.m. to 8 p.m., ICA will live-stream a panel discussion happening Downtown on the public policy implications of climate change in the Midwest. It will feature WGN-TV weatherman Tom Skilling, Nobel Laureate Donald Wuebbles and the city's chief sustainability officer, Karen Weigert. And the day after that from 9 a.m. to noon, ICA will host a workshop titled "Communicating Sustainability within a Polarized Society," led by George Marshall, Co-Founder of the Climate Outreach and Information Network in the UK.